Are you ready to go through the looking glass? 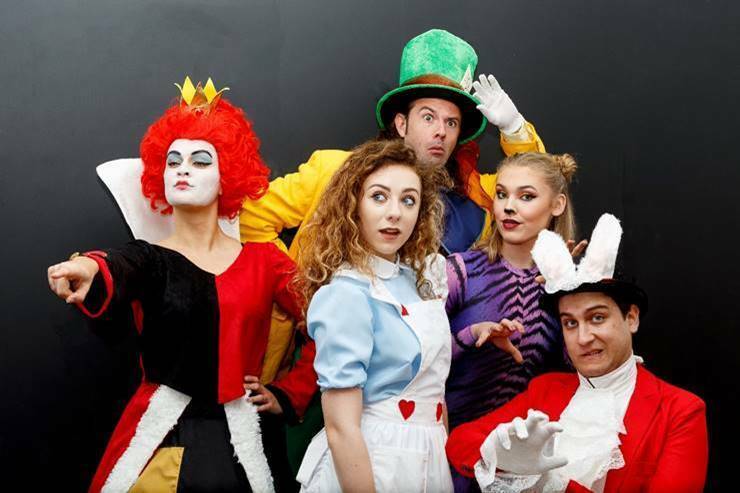 This Easter (6th-22nd April) at Groombridge Place you can enjoy a spectacular full stage musical production of Alice in Wonderland in the New Outdoor Forest Theatre. Perfect for families, this 40 minutes show (with 2 performances a day) stars a west-end cast with specially created costumes. You will be captivated as you watch the famous tale unfold in the delightful natural surroundings of the Enchanted Forest. To win family tickets (2 adults and 2 children) to a performance of your choice, answer the question below correctly before 23:00 on 15th April 2019. GOOD LUCK. Children can also get creative in the new arts and crafts area. Face painting will be available for a small charge as will canal boat rides which take visitors from the gardens to the Crusoe’s World in the Enchanted Forest. Explore the delightful walled gardens surrounding the moated manor house (house not open to the public) and perhaps enjoy a game of chess on the giant outdoor chess set. Watch the amazing birds of prey displays which will take place twice daily. Other family favourites also included with admission are the Giant tree Swings and Family Nest Swings. The recently expanded Crusoe’s World offers a world of new adventures with new rope bridges and walkways and a fabulous new wooden ship for little pirates to enjoy. Check out the UK’s longest and highest Treetop Walkway. Discover the amazing new handcrafted Treetops Walkway, which is an incredible 350m long and stands at over 20m above the forest floor. Thrill seekers can experience something truly magical as you climb higher and higher along the ropes into the tree canopy of the huge Oak, Pine, Beech and Chestnut trees which make up this ancient forest. A new refreshment area for hot and cold drinks and snacks will be open at Crusoe’s World. Adults: £14.95, walking to 12 years: £12.95, Family £49.50. Car parking is free and there is a café selling hot and cold food and drink.